It wasn’t until I truly understood The Law of Attraction that I learned to change the way that I lived with adversity in my life. It was one thing to be spiritually intuitive, but my gift did not make me immune to feeling badly when confronted with all the difficult circumstances. There wasn’t a conventional therapy that could help me, so I invented my own using every truth and experience I knew. I call it Soul Ascension Therapy. When we go through trauma, it affects us deeply and profoundly. It can shake our souls and question the fairness of life, our purpose and our pain. We all deserve happiness, but when we’ve been through traumas, feeling joy often eludes us. How do we get from the metaphorical bottom of the pit to the top of the mountain? When we pass into the non-physical we are relieved of all resistance and ascend. On the physical plane, there is resistance to allowing our ascension. 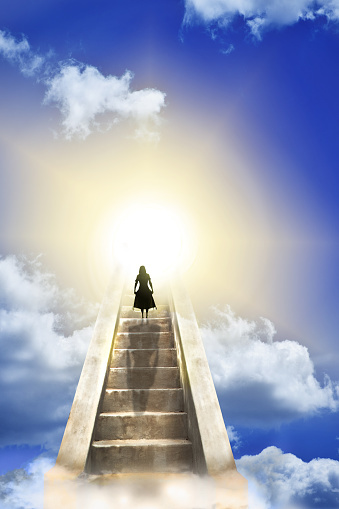 Soul Ascension Therapy will support and guide you on your journey while connecting you with divine intelligence. During Soul Ascension Therapy, I will hold space for you while connecting you to a higher vibration than you have been allowing in your energy field. During the session we will release what is not serving you and raise your energy vibration. You will be coached on The Law of Attraction, creating a new perspective to create positive change in your life. With my training in Reiki Energy Healing, Angel Guidance, Mediumship and Belief Work, I can access these modalities as suitable to guide you to raise your vibration. I can help you identify what patterns of thoughts, beliefs and behaviors that are not serving your highest self and give you techniques to attract more of what you do want in your life. Connect via phone: 905.582.6624 or via contact form below.